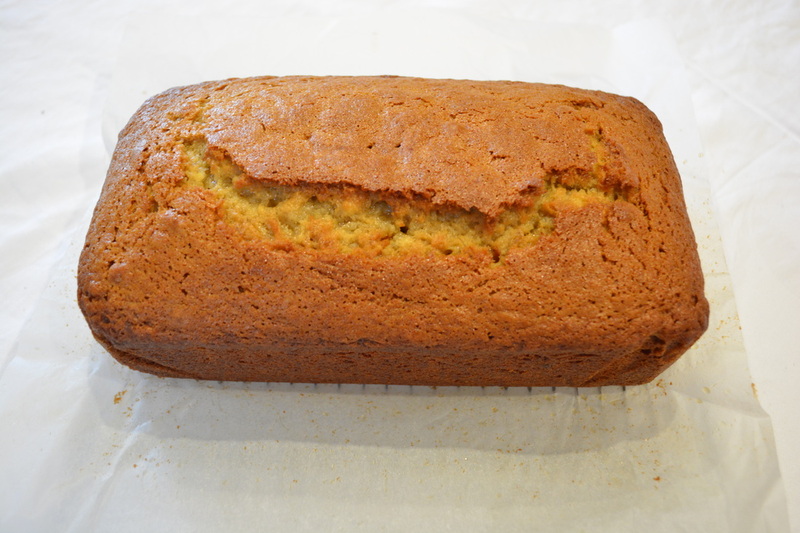 Here is a really simple, yet tasty banana bread recipe that I came across and had to try. 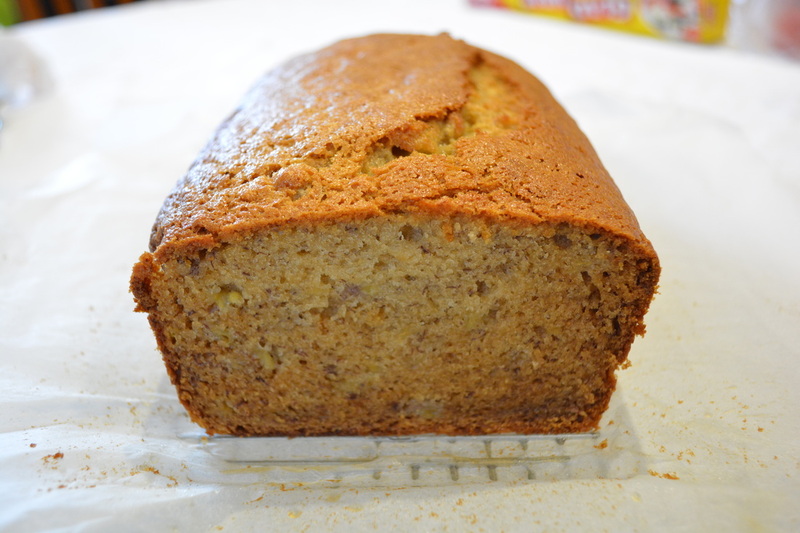 I have tried many, many banana bread recipes in the hope of finding one I love. Well the one I love the most is on this website simply called Banana Bread, it uses Rum and Cognac to add extra flavour to the banana bread. It can be quite expensive to make, and I don't always have them both at home. This one is far easier, tastes great and can be made with pantry items. You also don't need to wait for butter to soften. It is moist and delicious. My kids loved it, I loved it. I have said before that I love cakes that use buttermilk, not sure why, but they just taste better. I used 3 medium sized bananas to get the 1 cup of mashed bananas. Give this a go, it won't disappoint. Spray a 11cm x 21cm loaf pan with cooking spray, then line it with baking paper. In a large bowl add the eggs, buttermilk and oil, whisk until well combined. Add in the mashed bananas, caster sugar, brown sugar and vanilla extract, whisk to combine. Add the flour, bicarbonate of soda and salt, mix in carefully, don't over mix it. Pour into your prepared tin. Bake for 1 hour and 15 minutes. Start checking after 1 hour to see if it is ready by inserting a skewer in the centre, if it comes out clean, it is ready. Once baked, remove from loaf tin and allow to cool on a cooling rack.